Few people - even turbo enthusiasts - realise Hyundai offered a turbocharged version of its S Coupe back in the early '90s. The S Coupe Turbo was sold in very few numbers despite being a good overall package. 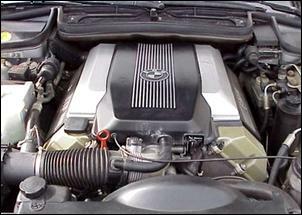 Under the bonnet ticks a Hyundai developed 1.5-litre SOHC 12-valve non-intercooled turbo producing 84kW at 5500 rpm and 168Nm at 4500 rpm. Of course, these aren't mega numbers but - with its 10.0:1 static compression ratio - you can count on the S Coupe being extremely drivable off-boost. Available as a 5-speed manual only, the front-drive S Coupe Turbo rustles to 100 km/h in mid-9s and - like any turbo car - there's plenty more performance to come from a high-flow exhaust, air intake and a tad more boost. An intercooler is a must as well. 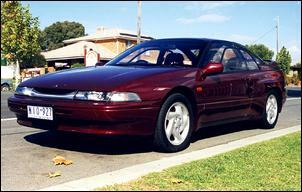 The styling of the S Coupe is conservative early '90s - sleek headlights, flush fitting windows and smooth edges. It's certainly an inoffensive, neat look and - with the right aftermarket wheels and a slightly lowered stance - they look pretty darn slick. Inside, though the dashboard is quite old fashioned and the switchgear and trim has a cheap feel to them. One of the first things to do is replace the horrible plasticy steering wheel, which looks like it's a part carried over from a basic Excel. Oh - and if you're serious about buying a S Coupe Turbo - make sure it's one with optional air conditioning. One of the biggest criticisms aimed at the hot Hyundai is its handling. Turn-in is apparently dull and there's plenty of understeer to follow; it's just as well the spring and damper settings are soft enough to provide a comfortable ride. Again, though, a lowered set of springs along with some quality shocks would have to improve the S Coupe T's handling prowess. A good condition 1992 Hyundai S Coupe Turbo typically sells for about 9 grand, but this is a good car to haggle on. After all, who (else) wants a turbocharged Hyundai? Check for a good service history, go for one with low kilometres and have fun! 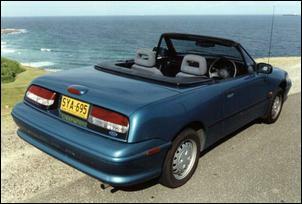 The U13 Bluebird replaced the locally manufactured Pintara during 1993. Interestingly, the entire Bluebird range came powered by the same engine - a KE24DE 2.4-litre four with double overhead cams and 16-valves. Power is 112kW at 5600 revs and torque is 210Nm at 4400 rpm. That big stroke four was quite a torquey bit of gear, with the goods to pull the 1300-odd kilogram Bluebird to 100 km/h in as quick as 8.3-seconds (though some tests were around a second slower). Look to America for directions on modifying the KE24DE engine - the US version of the Bluebird (the Altima) and the 240SX share the same mechanical configuration. There were three different specs released - the LX, Ti and SSS. The LX is a good buy if you're after practical transport, the auto-only Ti adds more luxury and the manual-only SSS gets sporty looks and a viscous front LSD. In case you hadn't worked it out, the SSS is the one to get. 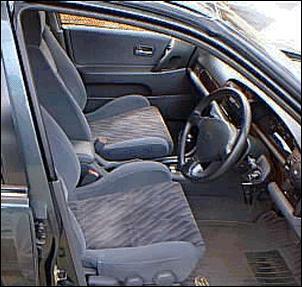 An update came in early '95, but - other than the inclusion of a standard driver's airbag - it was pretty inconsequential. Onboard there's all the comfort you could want - digital climate control, CD, cruise, power windows and mirrors, central locking and good seats. Oh, and the head-up speed display was a major talking point when the new car people were trying to flog them off. Riding on a MacPherson strut at each corner, the SSS offers a comfortable ride with decent - if a little understeery - handling. Body roll is relatively mild given the fitment of front and rear swaybars. Cosmetically, the standard SSS Bluebird strikes you as dumpy, under-rimmed and riding too tall. As before, though, a set of aftermarket lowered springs and a decent choice of rims really give the Bluebird a lot more appeal. A used '93 - '97 Bluebird SSS will set you back 10 -12-ish grand depending on kilometres. 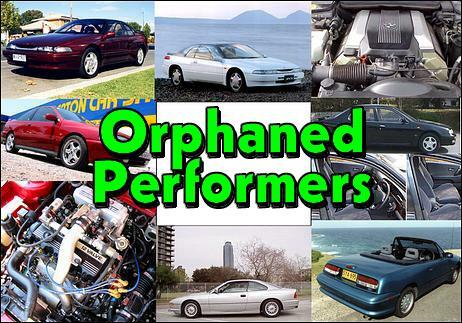 These are good, reliable cars though we hear parts are quite expensive. 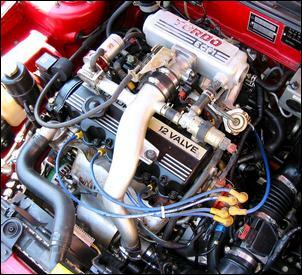 The XR2 Turbo and later Club Sprint turbo models boast the Mazda-developed B6 1.6-litre DOHC intercooled turbo engine, which pumps out 100kW. One-hundred kilowatts mightn't seem much these days, but chuck it in a 1100-odd kilogram front-wheel-drive and the equation starts looking fairly decent - standard performance for the Capri turbos is about 8.8-seconds for the 0 - 100 blast. Note that the Club Sprint version (all black with blue interior trim and just 2-seats) is no quicker than the normal XR2 turbo - it just looks better. With new prices up to around 30 grand, you can buy a second-hand Capri Turbo for just 7 - 12 grand (the more expensive ones being the sexier Club Sprint). Build dates span between 1989 and 1994. Like any turbo car, make sure the Capri T you're looking at has a good service history, no signs of excess thrashing and look for turbo smoke. For under 12 grand, though, the Capri Turbo is the quickest open-top car you can buy. Like the Hyundai S Coupe, whack on an aftermarket exhaust, air intake, improve the intercooling and up the boost and you've got a tear-away for very low bucks. 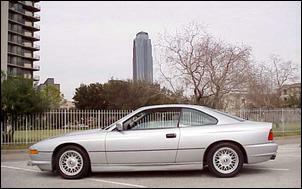 What ever happened to BMW's giant V8 and V12 powered indulgences? The mid-'90s 8-series were amongst the best coupes in the world, but BMW soon discovered the demand for a $200,000-odd play thing wasn't all that great - not in Australia, at least. So what are the 8-Series coupes? Well, they're 1800-odd kilogram German coupes with rear-drive and a standard automatic transmission. The 840Ci is powered by a 4.0-litre V8 producing 210kW and 400Nm, while the top-line V12 makes 220kW and 420Nm. Note, however, post '97 840 models grew to 4.4-litres bringing an extra 20Nm but no extra top-end power. With only small power differences, both the 840 and 850 whisk off to 100 km/h in around 8-seconds. These days it takes someone brave to drive an SVX - someone that couldn't care less when his or her friends ask why on earth they bought that. Beneath its F16 shell, however, the SVX is a very nicely engineered vehicle - it's got constant all-wheel-drive, ABS and a 3.3-litre quad-cam flat-six capable of 169kW at 5400 rpm. 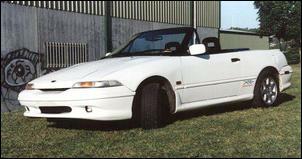 Driving through a 4-speed auto trans, the SVX was obviously pitched at the 'grand tourer' segment - it wasn't a hard-edged racer built to take on the RX-7 twin-turbo or Nissan Skyline GT-R. Inside the cockpit there's some questionable styling but it's certainly a comfortable place to be. Standard leather, CD, power everything and a terrific feel. Steering is pretty much spot-on for this sort of car, suspension is compliant, grunt is available at all revs and there's immense security provided by the viscous coupled AWD system and 225/50 16 tyres. 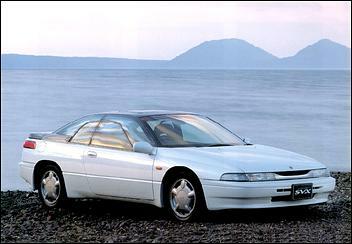 There's no arguing the SVX is - from an engineering perspective - quite impressive. So how much is it to slip into your owned supersonic Subie? Well, if you can find one, a good SVX retails for about $25,000 - and that's an awful lot of car and individuality for the price. 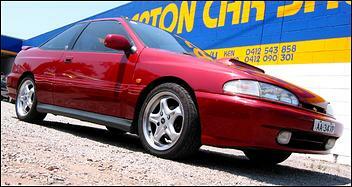 Beware the auto trans, however - SVX forums reveal this is the definite weak link in the armoury. The trans strength limits the ability to make much more grunt, but a big zorst and free-flow intake would have to up the output to about 190kW; just the right about to keep a current model Liberty B4 twin-turbo auto honest!